Sharon Pape has always loved mysteries. “Alibis and Amethysts” is her latest novel, and it’s part of a brand new mystery series. 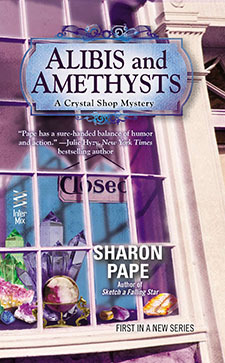 Having recently learned about Sharon Pape and her new mystery series, I wanted the opportunity to interview her and learn about “Alibis and Amethysts.” I was very pleased she agreed because you learn so much more from the author. It’s not the same publishing a news release that all the blogs receive. So read on…. Gotta Write: What kindled your desire to write at such an early age? Were you an early reader? Sharon: I wrote my first story in first grade, which was when they taught us how to string words together to form a sentence back in the day. When I wrote that first story, I wasn’t thinking, “Today I’m going to start being a writer.” It was more like an idea popped into my head and I felt compelled to write it down. There were a lot of journalists in my family, so it’s possible the compulsion to write was in my DNA. Yes, I was an early and eager reader. And once I started reading there was no turning back. My best friend and I would have play dates where we just sat in the same room and each read our own books. I should add that most of them were mysteries. Gotta Write: Tell us about the novel you wrote in seventh grade? Was it a story parallel to your own life? Sharon: The novel I wrote in seventh grade wasn’t about my own life at the time, which was way too dull. It was more of a “wannabe” life, starring the best looking, most popular ninth grade couple in our school. I actually remember their names — Marty and Dawn. The book was written so earnestly, yet innocently, that it’s pretty funny when I look back at it. Gotta Write: Having chosen education for a career, what made you decide to teach two languages? Sharon: Why did I choose to teach foreign languages? I guess I’ve always loved words and the way they can make you feel when they’re in just the right combinations. But after having a couple of awful English teachers, I wanted to pursue other subjects. I guess it was no surprise that I gravitated to the study of words again. This time the words just happened to be in French and Spanish. Reading the great literature of those countries in their original language was fabulous. Gotta Write: After the children were off to school, you returned to writing. What stories were brewing in your creative mind? What did you write during this period of time? Sharon: Once my kids were in school full time, I started writing again. My first book was published by Pocket Books and condensed in “Redbook” magazine. I guess I was a bit ahead of my time though, because there was no paranormal genre in those days. As a result, the publisher changed my title for the book to “Ghost Fire” and put it in with horror. Today the book would be called “paranormal lite.” It even has a love story. I’m planning to re-release it next year with my original title, “For Everything a Season.” The two books that were published after that were also paranormal. Gotta Write:	Then came a life challenge, but you beat it. What formed because of this experience? Sharon: You’ve probably heard the expresssion, “If you want to hear God laugh, tell him your plans.” Well, I was at a great place in my life with my husband, two kids and our golden retriever when I was diagnosed with breast cancer. After completing my treatment, I wanted to help other women through their journey. My surgical oncologist and I started a non-profit organization to provide peer support and information to newly diagnosed patients. Once the organization was thriving, I was able to go back to my first love – writing. 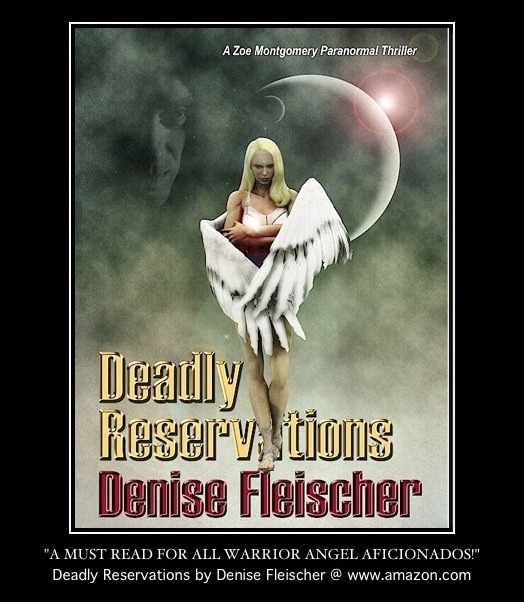 Gotta Write: I’m going to admit it, I love books that have paranormal elements. When did you start submitting your mystery novels to publishers? How long before you received your first acceptance and what was that like? Sharon: When I started writing again, I wanted to try my hand at mysteries. The paranormal element in my “Portrait of Crime” series sort of snuck in there when I wasn’t watching. Since my track record was too old to lean on, I wrote the first book on spec and found an agent. He sent it off to a few houses, and Berkley made me an offer. But remember, it wasn’t my first novel; it was my fourth. Of course I was still ecstatic. It never gets old hearing that your baby has found acceptance out in the world. Gotta Write: In 2010, you introduced readers to a mystery series with Rory McCain, a police sketch artist. From what I’ve learned, Rory inherited her father’s private detective business and a charming old house complete with a ghost in residence. Without presenting a spoiler, tell us about “Sketch Me If You Can” (A Portrait of Crime Mystery #1, Berkley Prime Crime). What do you love about these characters? Sharon: In the first book of that series, Rory has a hard time coming to terms with her uncle’s murder, not to mention the fact that he’d been secretly living with a ghost. As if that wasn’t enough, the ghost had become a partner in his P.I. firm. Now Rory’s inherited it all, including the ghost, Marshal Zeke Drummond, who’d died in that house back in 1876. Her relationship with Zeke is a challenge from the start. Rory is a strong-willed, modern woman. Zeke is stuck in the mores of his time, especially with regard to women. Over the course of the next three books (the fourth book will be released on Dec. 17), their relationship changes and matures. Through a series of flashbacks, the reader also learns about the marshal’s life in the Old West and what led him to die in that house on Long Island. I love how feisty and confident Rory is. Truth be told, there’s a lot of my daughter in in her. I love Zeke, because – no, I don’t think I want to reveal too much about him. In any case, I think that readers who’ve been following the series will really enjoy the fourth one, Sketcher in the Rye for the mystery plot as well as for what they learn about both of these characters. Gotta Write:	The next novel in the series, “To Sketch A Thief,” brings more than a new case into Rory’s life, she adopts a stray dog named Hobo. How does Zeke deal with the four-pawed detective? Sharon: In the second book, “To Sketch a Thief,” big, furry Hobo helps Rory and Zeke solve the murder case and, perhaps more importantly, come to a better understanding of one another. Gotta Write: “You’ve got to love the cover, of “Sketch a Falling Star.” Tell us about the little problem the “Way Off Broadway Players” have when sightseeing in Arizona. Sharon: I do love the cover of “Sketch a Falling Star!” The Way Off Broadway Players (an amateur acting group, which Rory’s ditzy aunt Helen has joined) are vacationing in Arizona when a flash flood ploughs through a slot canyon they’re touring. Preston, an actor in the troupe is killed in the flood. Since the canyon is on Navajo land, the investigation is under their jurisdiction. Gotta Write: Does Rory believe Preston’s death was an accident? Sharon: When they all finally return home, Preston’s mother hires Rory to find out if her son was the victim of a tragic accident, as the M.E. believes, or a victim of murder. The more Rory investigates Preston’s life, the more she believes he was murdered by flash flood. Gotta Write: Alibis and Amethysts is the first novel in an all-new mystery series you’re writing. I’m sure your readers will be thrilled. The cover is not only beautiful, but you want to explore the store! Tell us about Jaye Saylor and her crystal and gemstone shop in Sedona, Arizona. We heard that her friend, Sierra found a little surprise in the backyard of her bakery. It wasn’t a huge batch of sugar was it? Sharon: Ah, if only it were sugar. Unfortunately Jaye and Sierra find the owner of the only other bakery in town dead in Sierra’s backyard. Given the circumstances, guess who the prime suspects are? Gotta Write: What did you love about writing this latest novel? Was it difficult to start with new characters and setting? 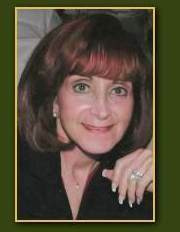 Sharon: I enjoyed the research on the metaphysical properties attributed to the various crystals and gemstones. I was also intrigued by the New Age theories about the purported psychic vortexes of Sedona. Although I missed the characters from my other series (I kept writing Rory’s name instead of Jaye’s! ), it was a lot of fun to explore a whole new cast of characters in such a different and unique setting. Gotta Write: When was the book released and in what format? Sharon: Alibis and Amethysts was released on August 20th as an ebook by Berkley Intermix. Gotta Write: How are you promoting it? Sharon: Promoting a book these days is a lot different than when I wrote my first three. Today the best way to raise awareness about a new book or series is through blogs and interviews. Publishers also promote the books on their websites and send out copies to dozens of reviewers. Then you have to hope good word of mouth does the rest. Gotta Write: What are you currently working on? Sharon: I’ve been developing the plot for the next book in the series. I know who the killer is, who the victim is and what the motive is. Just have to fill in all the other blanks. That’s the part that takes 300 pages and 9 months or so. I think I ‘d like to call it Blackmail and Bloodstones. Thanks again, Denise, for the opportunity to stop by and chat with you about my books. Log on to sharonpape.com/ for Sharon’s blog, photos and books. Order the kindle edition e-book through amazon.com. 256 pages, Penguin Group.